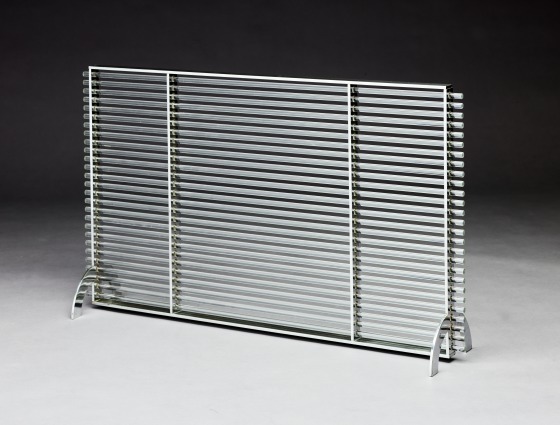 This pure and minimalistic firescreen is constructed of glass and chrome, utilizing just a few of the modern materials widely applied by industrial designers of this era. 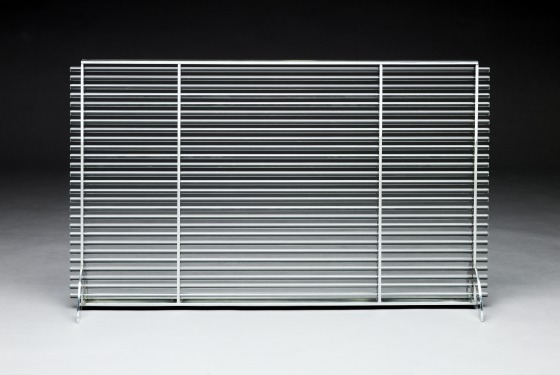 The repeated banding, or speed lines, achieved by the horizontal glass rods combined with the use of chrome echoes the influence that the Machine Age aesthetic had on everyday household products during the thirties. Charles Venable, “Art Deco and Streamlined Modern Design, 1920-1950” Gallery text (2000.331), 2001.